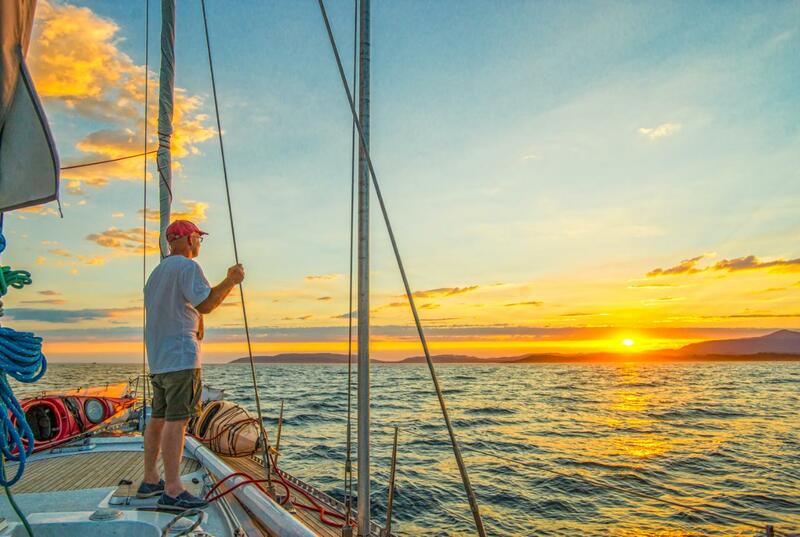 This skippered charter combines two exciting days sailing around the spectacular South East coast of Tasmania with an overnight stay onboard a 62-foot luxury ocean racer/cruiser in in 3 double and 1 twin bunk cabin. The best Tasmanian fare is provided for all meals and refreshments. Tea, coffee, water and non-alcoholic beverages are provided throughout the day. A selection of fine Tasmanian wines and beer are available from the cash bar - at regular bar prices.